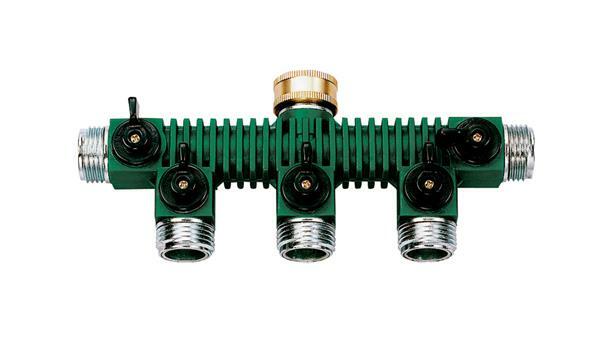 This high quality brass manifold has 4 hose outlets with shut-offs for multiple uses. Turns your faucet or hose into five outlets. Ideal for multiple hose connections or hose faucet valves.